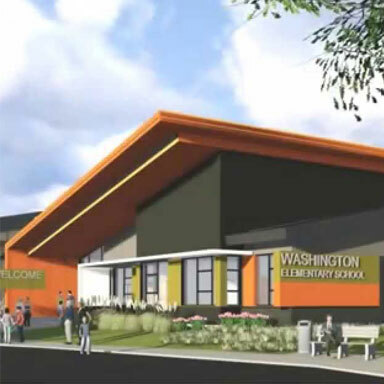 We have substantial experience with K-12 construction as well as the GC/CM delivery method — in fact we were involved in one of the GC/CM pilot projects in Washington State. We're adept at remodels as well as new construction and can help you thoughtfully blend the old and new. Our experience benefits your project … but so does our willingness to listen to your concerns, understand the project challenges, embrace the budget and respond with ingenuity. Of all the tools we use in construction, this is the most important: communication. We ask. We listen. We educate. We collaborate. We'll embrace your vision and foster a team approach to your project. When we are involved in a project early on, we can offer you better budget control, constructibility reviews and value engineering to optimize cost and performance. This results in more accurate documents, fewer change orders and a more efficient project overall. Safety is essential when you're building in such close proximity to a student population. Our safety director will develop site-specific safety protocols that serve both our crews and your staff and students. That's the inscription on a plaque in the central commons at Wahluke High School in Mattawa, Washington. 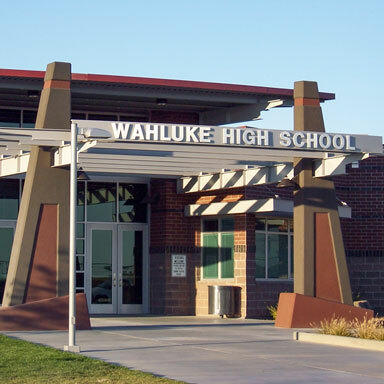 Wahluke is so much more than a school. It's the center of a rural community. It's a place of enrichment, safety, healing. It's where tradition is honored and accomplishments are celebrated. This project is a modernization of a building shared by the school district's high school and middle school. 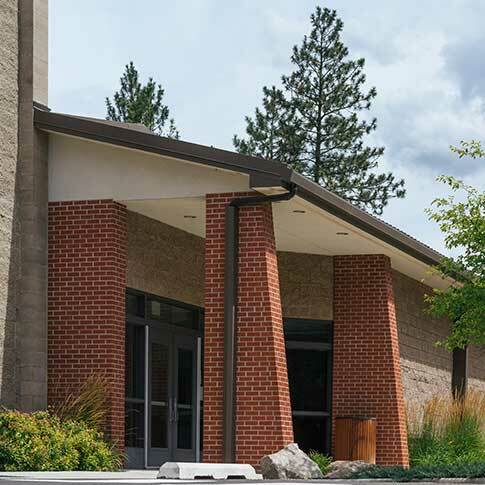 Updates to this 57,000 SF building included modernizing classrooms and administrative space, replacing and upgrading the mechanical and electrical systems, and replacing and repairing part of the roof and exterior of the building. There was also an expansion of the athletic fields and partial track. 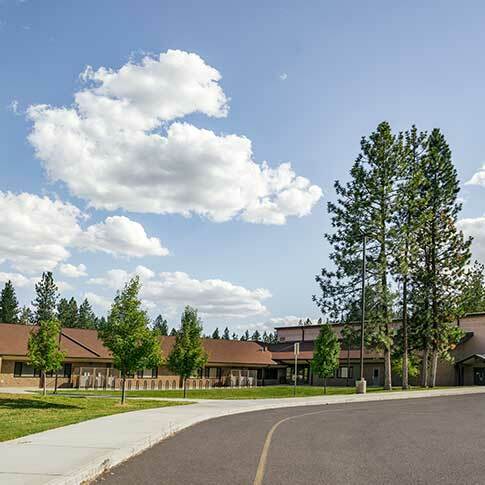 The Wellpinit School District is located on the Spokane Indian Reservation northwest of Spokane and serves 570 students who live on the Reservation. Work was performed as part of a GC/CM Joint Venture. 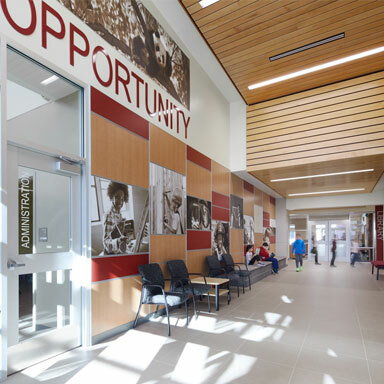 The modernization and expansion of Opportunity Elementary School includes a complete renovation of the existing 1968 vintage, 42,000 square foot building. A 31,000 square foot addition will also be constructed, including a new gymnasium, additional classroom space, and a new community art room. Construction is phased, allowing students to remain in the building for the entire project. The new school, designed to house up to 700 students, will improve student safety and meet the school district's current education objectives and goals. Work is being performed as part of a Joint Venture. This new replacement of Washington Elementary was constructed on the site of the current school which was built in the 1950's. The old building remained fully occupied and functioning during construction. The new modern 2-story facility houses 600-700 students in grades K-5, and includes an administrative area, increased classrooms, and activity and specialty wings. Work was performed as part of a GC/CM Joint Venture. 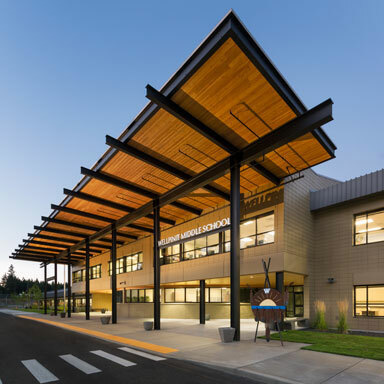 Built on the same contract as Lake Spokane Elementary, This project is yet another example of effectiveness in managing complexities of phased construction within owner-occupied buildings. The project required three major phases of work with planned owner move-ins over school breaks. Phasing was further impacted by the necessity to relocate an existing septic drain field to make way for construction of the south addition. Not only were we successful in managing an effective phasing strategy, we were able to leverage the completion schedule to shorten by two months, allowing the owner to fully occupy both schools for the start of the 2009-2010 school year. Work was performed as part of a GC/CM Joint Venture. This 40,000 SF prototypical school constructed in 1981 underwent a complete renovation and was expanded with construction of a 17,000 SF addition. The new design increased the building size from 51,4000 to 57,600 SF, providing three additional classrooms and improved functionality. A total of 25 classrooms were provided to serve between 550 and 580 students. Building efficiency has been enhanced with replacement and modernization of all mechanical and electrical systems. Work was performed as part of a GC/CM Joint Venture. 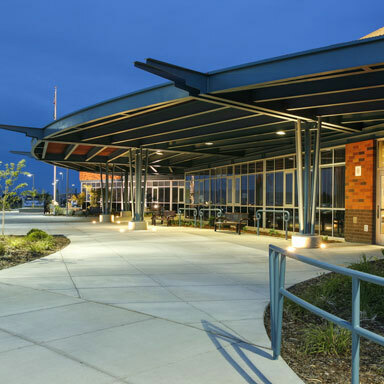 Built on the same contract as Nine Mile Falls Elementary, This project is yet another example of effectiveness in managing complexities of phased construction within owner-occupied buildings. The project required three major phases of work with planned owner move-ins over school breaks. Phasing was further impacted by the necessity to relocate an existing septic drain field to make way for construction of the south addition. Not only were we successful in managing an effective phasing strategy, we were able to leverage the completion schedule to shorten by two months, allowing the owner to fully occupy both schools for the start of the 2009-2010 school year. Work was performed as part of a GC/CM Joint Venture. 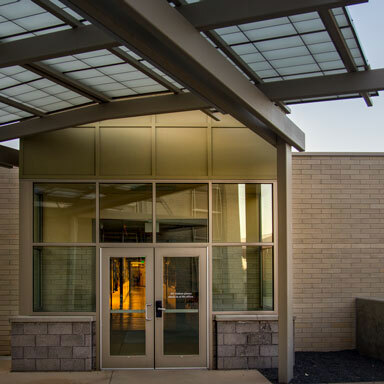 This new K-12 Facility in Coulee Dam replaced three school buildings built a half century ago. Two separate wings house both K-6 and 7-12 with a capacity of up to 660 students. The new building provides 27 standard classrooms, 3 special ed classrooms, 2 computer labs, a business lab, and specialty classrooms for home ec, ISS, Title One, chemistry and physics. A full size competition gymnasium with concessions will be used by the school and community. Modernization of this elementary school included expanding the size from 32,000 square feet to 45,000 square feet with the addition of new classrooms, a new cafeteria/multi-purpose space, and new heating, ventilation and cooling systems. Site improvements included athletic field improvements, and parking. This state-of-the-art high school was built to accommodate 1,500 students and features 50 classrooms, 8 science labs, 7 computer labs, a 500 seat auditorium, and a gymnasium with elevated running track. Site development included the construction of two performance baseball fields, two performance softball fields, one practice infield, four press boxes, 8 dugouts, a maintenance building, a concessions building and batting cages. This GC/CM project was completed four months ahead of schedule. Work was performed as part of a Joint Venture. This project was performed under a GC/CM contract, with Walker Construction leading the team through all facets of pre-construction services, bid procurement, construction and closeout while working closely with the project architect. The new high school includes a performing arts auditorium, an 18,000 SF gymnasium, a unique circular commons area, 33 classrooms, a greenhouse, and parking. The building is a combination of CMU walls and metal stud framing with brick veneer. The roof structure is metal joist and decking. This magnificent project came in on budget and nearly four months ahead of schedule. 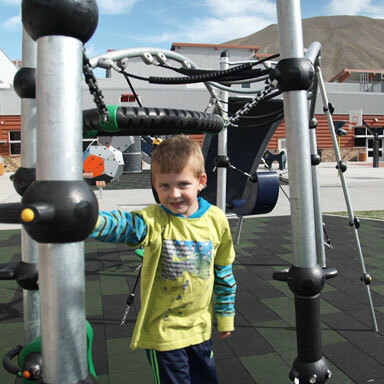 Lincoln Heights Elementary was one of five statewide pilot projects to employ the new Washington Sustainable Schools Protocol for High Performance. 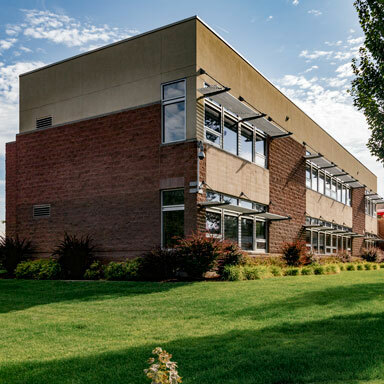 This was the first public K-12 school in the state to receive LEED® AP Certification and the first LEED® AP Gold project in Eastern Washington. The building incorporates many sustainable design features, natural lighting, enhanced acoustics and increased airflow. Water reducing features include auto-sensing wash basins throughout the school. In addition, ecologically sound decisions were made by reusing materials and equipment where possible. High efficiency lighting, heating, plumbing and cooling systems were used throughout to reduce heating, cooling and annual utility and maintenance costs. The school sits on 6 acres and includes 25 classrooms, a 1,200 SF community activity room, a library, gymnasium, and music room as well as additional spaces for storage, and health-nursing. 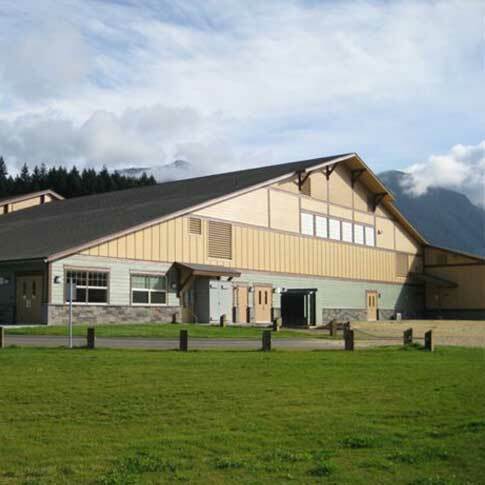 White Pass Jr/Sr High sits on a shared site with the school district's elementary school. The existing school was expanded with an addition of 34,000 SF, and the remaining 29,000 SF undergoing a complete renovation. Site improvements included construction of new grandstands. Careful planning of phasing and multiple student relocations made it possible for the students to occupy the school throughout the construction phase. 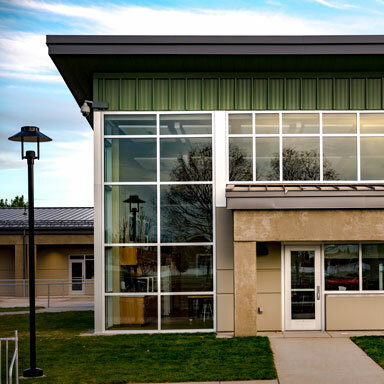 Walker Construction provided complete GC/CM services for this project, along with the renovation of the Elementary School as part of a Joint Venture. The Palouse Region Transportation Cooperative is located on the campus of Freeman Elementary. 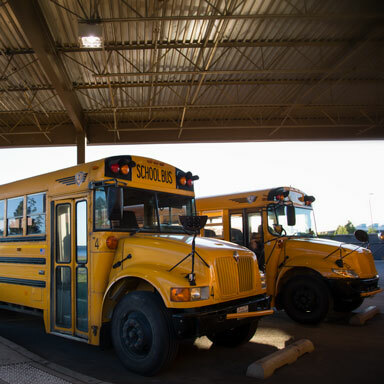 The cooperative includes a bus maintenance shop, offices, a training room and covered bus parking. The vehicle maintenance building has two bus maintenance bays and one bus wash bay. A shop provides storage for equipment and parts.